Freeskiing champs and mountain hardware innovators, Lars and Silas Chickering-Ayers are releasing their latest touring binding to skiers worldwide through their company, CAST Touring. 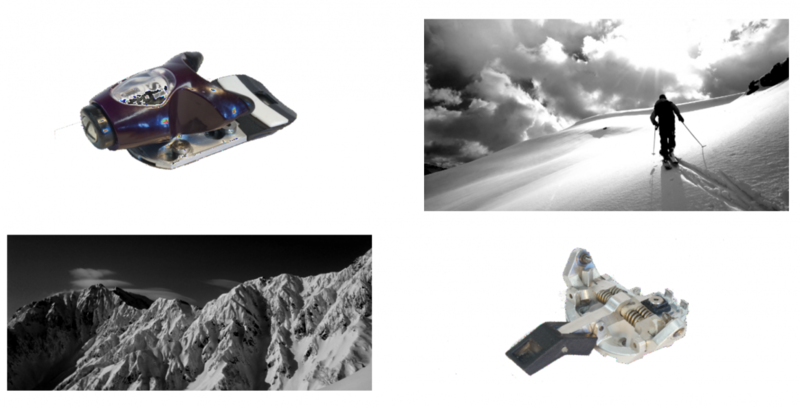 The brothers have created the safest solution for AT bindings to meet their own demands and fill the void that pintech bindings will always leave. 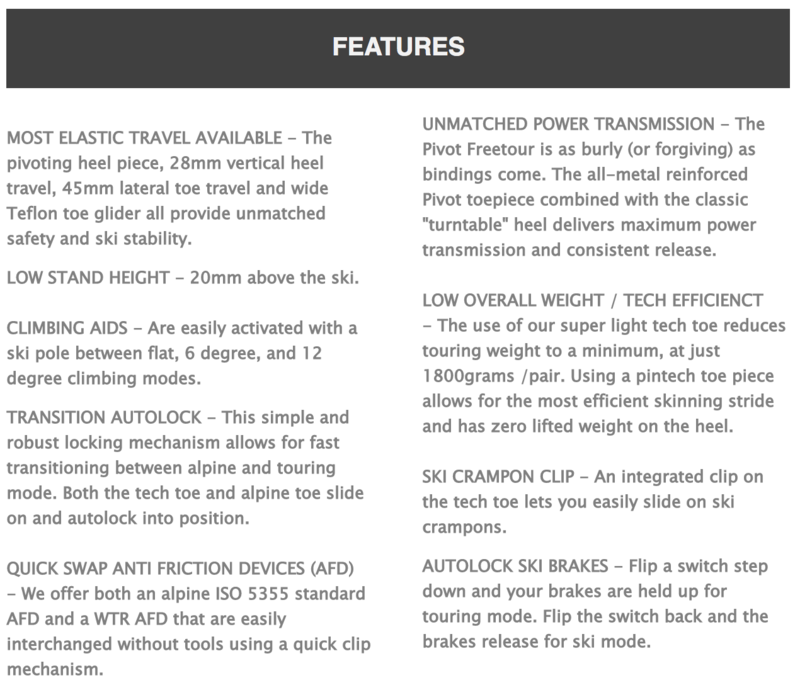 CAST’s latest binding, the PIVOT FREETOUR, redefines the term “no compromise” within the touring binding market. The PIVOT FREETOUR is built on the award-winning Look Pivot binding platform, the most trusted and reliable alpine binding in skiing. CAST’s patented and fully integrated quick release mechanism changes out the PIVOT toe pieces for a set of super lightweight pin-tech touring toes in a matter of seconds. The result is the world’s first pin-tech touring binding with the full reliability and safety of an alpine binding. 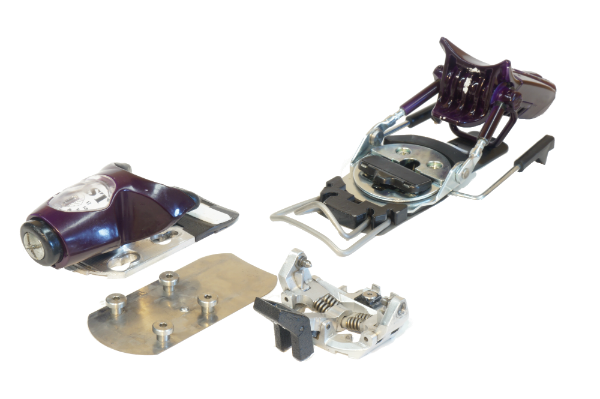 Available in DIN 4-14 and 8-18 versions, the FREETOUR will come standard with both ISO 5355 and WTR, AFDs to accommodate all skier sizes and styles. The first production run of FREETOUR bindings will be completed for the fall of 2017. The retail price is set at $650 and includes a full set of PIVOT bindings and a pair of tech toes manufactured by CAST with fully integrated quick release mechanisms, along with dual height climbing wires and auto locking brake retainer. The FREETOUR bindings are available for pre-order now through casttouring.com. The preorder will ensure earliest possible delivery for all of CAST’s loyal customers who have been patiently awaiting the release of this much-anticipated new offering in the world of PIN tech touring bindings. It will also be an opportunity for committed CAST supporters to get a discount for their early support and offer feedback on the final tweaks to the binding design.